There are occasions when something new comes along, and the thing that came before this new thing is forgotten. 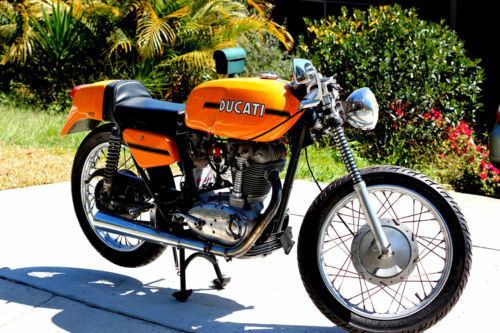 This may or may not be the case for the Ducati Singles. When the L-Twin came along, the single cylinder “parent” was pushed to the side and quickly dropped. 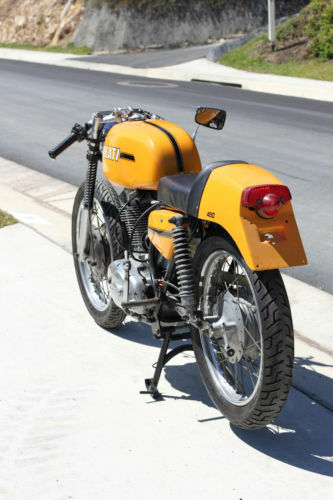 The nice thing about Classic Sports Bikes is that the find a niche, and survive. 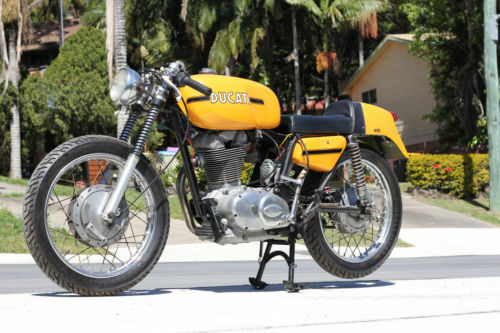 This 1971 Ducati 450 Mach 3 offered down-under on eBay is one of those forsaken singles. 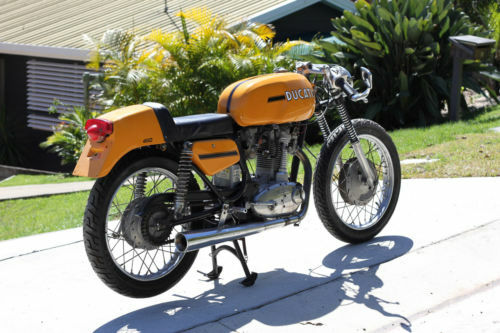 Up for sale is my Ducati 450 single. It is a 1969 model. The bike has been mostly restored, with only relatively minor finishing touches required to get it a good street level, or if showroom is your thing this would be a great start for a project. The engine has recently been fully stripped down and rebuilt with anything even slightly suspect having been replaced. The tyres are as new, but have been on the bike for quite a while so if you plan on racing it through the hills they may be a little old. The paint work was all professionally done 2 pack, although the front guard has not been painted as I only got it after the rest of the bike was painted. Starts first kick most times but would benefit from an more modern carby for daily riding, (mercuni kits readily available). I have had this bike for over 12 years and have restored it to this level from a basket case, so I can answer any questions but there is too much to list here. Dr Fabilio Taglioni’s first work with Ducati was in 1954 and their small cc GP bikes. The basic design increased in displacement from 125cc to the 200cc Elite in 1959. The 250cc Monza/Diane/Daytona arrived in 1961, the 350 Sebring in 1965 and finally the 450cc in 1969. Even though the GP bikes offered from the Italian manufacture had been using Desmodromic valve gear, it wasn’t until 1967 that the first road going Single received the positive valve actuating system. This 450 Mach 3 offers those unique pair of opening cams and closing cams. 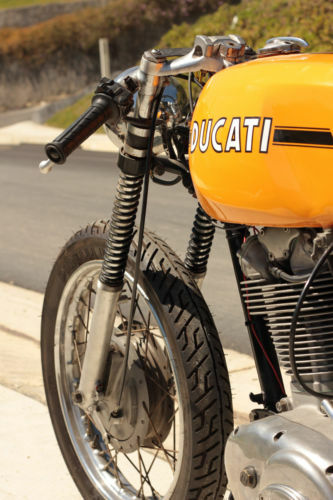 As the displacement of the Ducati singles increase, design limitations were found in the bottom end. With the first generation “narrow” cases, the big end bearing was not getting significant oil, and the bottom end would not live a happy and productive life. Later “wide” case singles addressed this issue, but a 450cc singe with its 86mm bore on a 75mm stoke still liked to rev, and not plod along. It was always questioned why such and engine would find itself in an low rev off-road bike like the 450 R/T, but the Berliner Brothers who owned the distribution rights for the US may have had something to do with this.